At Georgian Hot Tubs and Swim Spas - Barrie our philosophy is simple, be the best Hot Tub and Swim Spa store in Barrie. Our store philosophy is “Relaxation” right from the moment you enter the store you will experience a relaxing no-pressure environment. The entire process from research, to purchase, to service and support after the purchase it is always about making you the customer feel comfortable. We are a Family Owned and operated business and believe that the era of superior customer service is valued and we endeavor to bring that experience to every thing that we do. Georgian Hot Tubs has a full time service department with technicians that are factory trained to meet your every need and to ensure that your Hot Tub or Swim Spa will give you years of great service and relaxation. Why Did Georgian Hot Tubs and Swim Spas - Barrie choose Hot Tubs from Hydropool? Hydropool Hot tubs offer a feeling like no other and a Swim Spa that fits every need. Hydropool's mission is to create more time for what matters and that falls right in line with our goal of "It's All About Relaxation" Georgian Hot Tubs has a complete list of professionals that have been trained and approved to complete every detail of every project so that the end result is a backyard paradise. If you are looking to install your dream hot tub or swim spa, give us a call today at (705) 733-2400 or click the "Contact Me" button to send us a message. We look forward to working with you! Your vision is our passion at BonaVista! 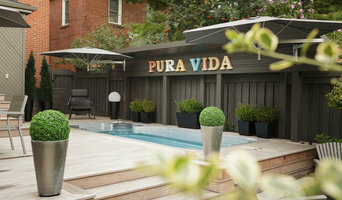 Our outdoor living boutique in the heart of Leaside offers you a place to imagine the possibilities. Decorate your outdoor space with the very best in hot tubs & swim spas, fire features, patio heaters, outdoor kitchen & grills, lighting and shade solutions as well as a state-of-the art water care lab. High End Hot Tubs in Ontario. Experience The Ultimate with Factory Hot Tubs. We present to you our collection of Artesian Spas, the highest end manufacture with five unique lines of spas, hot tubs and Swim Spas. From the inception of the company, Factory Hot Tubs has been able to provide in every line the best designed, highest quality hot tub at the most reasonable price possible. Artesian Spas and Factory Hot Tubs are pleased to be able to provide all hot tub users with the most beautiful, most technologically advanced spa built today. Simply put, the Artesian Spa you purchase from Factory Hot Tubs will be the best hot tub spa you can buy! Enjoy the soothing sounds of rushing water as you slip away into a massage that is unmatched by any other spa on the market today. The relaxing jets target every inch of your body providing a true therapy massage. Your spa encourages blood flow and eases and treats the pains from illness such as arthritis, diabetes, various sports injuries, athletic pains, improves your quality of sleep and improves your overall quality of life. Bring your family and friends together. Stir up some bubbly romance. Work away stress, tension and aches and pains with your very own therapy hot tub spa. La-Z-Boy was founded in 1927 by two cousins, Edward Knabusch & Edwin Shoemaker. The company was, and still is, based in Monroe, Michigan. With completion in the spring of 1928, the first La-Z-Boy wooden patio chair had a swinging link that simultaneously pushed the seat forward and also tilted back. The first prototype was made from orange crates. A suggestion to upholster the design brought the recliner permanently into American homes and the cousins named their creation La-Z-Boy. Today, La-Z-Boy is the world’s leading manufacturer of reclining chairs and one of the largest producers of upholstered sofas, loveseats, chairs and ottomans, marketed both through a large, proprietary distribution network and through independent retail stores. La-Z-Boy believes every company has an obligation to conduct business responsibly, ethically and to be a welcome member of the community. That is why charitable giving, environmentally responsible manufacturing and investing in local communities all play an integral part of the La-Z-Boy business plan. La-Z-Boy Inc. entered into a partnership with Hydropool Inc. to manufacture La-Z-Boy Hot Tubs in 2009 and offers three exciting collections of luxury portable residential hot tubs. Through a special brand licensing agreement, Hydropool, manufactures, sells and markets hot tub products under the La-Z-Boy brand name. The La-Z-Boy Hot Tubs program includes a total of 9 models with the Signature Collection featuring four high quality mid-priced models and the Premier Collection offering three cutting edge hot tub designs. The entry level Classic Collection includes 2 models with great starter features and a compelling price point. La-Z-Boy Hot Tubs are offered through a network of specialty hot tub retailers throughout the United States and Canada. You can find one of our many La-Z-Boy Hot Tub retailers by clicking on “Find a Retailer” in the top menu of our web site. You can also find some of our Canadian flagship La-Z-Boy Hot Tub retailers at Hot Tub Town. If you need assistance with finding a La-Z-Boy Hot Tub retailer in the United States or Canada or if you have any questions about purchasing any of our of our high quality hot tub models please do not hesitate to call us at 727-279-6296 Monday through Friday 9 am to 5 pm EST. Bud's Spas & Pools has been installing and servicing hot tubs and swimming pools in Ancaster, Dundas, Burlington and Hamilton for over 40 years. Serving the Niagara Region since 1979. We Service all make and models of hot tubs. Having a hot tub or spa at your own North York, ON home can provide more benefits than you may think. Ask any hot tub dealer in North York, ON and they will tell you about the numerous ways spas can enhance your life, including physically, emotionally and socially. If you’ve been contemplating adding a spa to your home, visit a local North York hot tub store today to learn more about which options are right for your location and needs. It’s important that you do some research before visiting a local North York spa and hot tub dealer. While they can give you lots of information about features and financing, you should have an idea of where you would like to position your spa and what its main function will be. Do you plan to use it mostly for relaxation or socialization? How many people will be using it? All of these things will help the hot tub dealer pick the best models for you. Decide who will be responsible for daily maintenance in your household and if the extra energy costs are something you’re actually willing to incur. Also, know that most hot tub stores in North York, ON let you do test soaks, also known as a “wet test”, where you can throw on your suit and take each model for a spin in the showroom so you know exactly how they feel before purchasing. Don’t be shy — just think of it as test driving a car! Find spa and hot tub dealers in North York, ON on Houzz. Narrow your search in the Professionals section of the website to hot tub and spa dealers in North York, ON. You may also look through photos to find hot tub designs you like, and ask about the details of the spa, including the manufacturer and where it was was purchased.